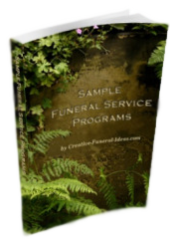 Here are some helpful tips in writing funeral thank-you notes. 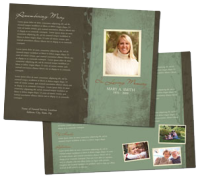 Who should the family of the deceased send thank-you notes to after the funeral or memorial services are completed? 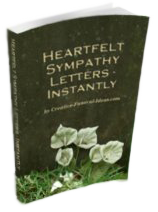 It is not necessary to send a thank-you note to everyone who sent you a sympathy card, or attended the funeral, or visitation. It is proper etiquette however to acknowledge those who sent or helped the family during the time of death, and or illness. Examples would be letters, food, flowers,or memorial gifts. Thank you so much for officiating at my daughter’s funeral. It was a very moving ceremony, and reflected much of her character and life. You delivered the whole thing beautifully, and were so kind for allowing us to redraft the script and still include tributes quite late in the day. I will forever be grateful to you for helping me to give X such a lovely ceremony and committal. Just a note to thank you for such an appropriate and meaningful tribute to my late mother. She would have approved, I’m sure! Thank you so much for the sensitive and caring way you conducted the memorial ceremony. The family and I were most impressed by the care you took over the preparation and the negotiations with us beforehand, and also the detailed way you scripted the whole proceedings in each case. A lot of people, including some with committed religious beliefs, commented in this way … The day of Mum’s funeral had such a good feeling. It was a service we will remember for the rest of our lives. Your choice of readings was most appropriate and meaningful, and we thank you for your dignified delivery of the service. I can appreciate how much hard work goes into something like this, choosing the right phrase, mentioning those important friends and relatives in her life, and incorporating those little finicky details that added up to that complete person we all knew. You did it with great professionalism, and we will have a lasting memory of the day. Thank you for the wonderful, moving service for Dad. It was so lovely to be reminded of our life with him. Many happy occasions were brought back to us. I, with so many others, felt you spoke about him as it he had been an old friend of yours. I am very grateful for having a copy of the text as your words are full of understanding and caring for a very special man - though you never knew him personally. Thank you for your kindness and thoughtfulness at this very sad time. It was a very special service for our beloved mum. The ceremony was everything we wanted it to be: a tribute to my father’s life, celebrating the joy and humanity he brought to everyone who attended. Every word that was spoken was beautiful and wonderfully fitting. The careful balance you struck between allowing us to have what we wanted for the funeral, whilst at the same time, quietly and sensitively guiding us, and using your experience and wisdom to suggest what might be most fitting. It was comforting to have someone with us at that most sensitive and emotional time, who carefully listened to us, and who took on our wishes and views. You came to know us so closely for such a brief time, and now you will continue your journey as we will continue ours.